“Be open to some criticism… Sometimes it’s just because someone sees a great skill that you probably don’t see at the time. Just try to be open to that.” Laura Geitz Australian Diamonds. To say our community was thrilled when the Australian Diamonds took out the Netball World Cup Sydney 2015 is an understatement – I could almost hear the corks popping from your Facebook feeds! The third straight World Cup crown sparked a vibrant conversation about why we don’t hear more from these incredible women. With this in mind, we dedicate one thousand words to the Diamonds captain Laura Geitz. Known for her quick-thinking, she’s the second Queenslander to captain Australia’s most successful women’s sporting team. Here’s Laura… all 185 centimetres of her. Martine Harte: Laura Geitz, the phenomenal Diamonds World Cup win, tell us what was going through your mind when you were on court? Laura Geitz: The first quarter was the best 15 minutes of netball that I’ve ever been involved in and it really set us up for that last quarter. The Silver Ferns obviously played really, really well in those last three-quarters but it was just that hard work we’d done in the first that set us up. It wasn’t just, “This is amazing, we’ve won the World Cup!’ We really acknowledged all the hard work we’d put in during the lead up, so it was the years before which made it so special to win in Australia. I bet, so how much work did the team do on mindset? Laura Geitz: During the last few years the Diamonds team has been about setting a really great culture; that’s what we pride ourselves on. It’s doing everything you can possibly do to the best of your ability and to understand that there’s probably going to be some hurdles to jump along the way but to embrace them. We have an incredible bunch of girls at the moment you know? They work hard and put everything else before themselves. When you talk about culture what does your coach Lisa Alexander tell you specifically? Laura Geitz: Well in Australian sport – male and female – there’s a lot of talk surrounding ‘culture.’ The Wallabies are doing some really great things, is it because of the change in culture? Sometimes it can come with a change of coach and implementing their beliefs and values, but it’s really up to the athletes who drive the culture. It’s no different to the work place with a mission statement outlining what you stand for. We live and breathe our mission statement every day: It’s about welcoming new girls into the team and making them fully aware of what the culture is. If you don’t buy into it then you’re very quickly on the outside. I guess it’s something stronger than the individual – when everyone buys into it, it pushes the team towards success. Laura Geitz: I feel success happens when you are aware of your strengths, but once you believe you’ve reached your full potential is when you start to be beaten at your own game. That’s why I always say, constantly strive – even for that 1% improvement – sometimes when you strive for improvement it doesn’t always come off. But you need to try. The Australian women’s netball team has been dominant in the game since the 1960’s, yet it doesn’t correlate with the amount of media attention you get. And women are paid a pittance! How do you deal with that as a team? Laura Geitz: Oh, women’s sport is obviously streets behind our male counterparts. You can sit and whinge or complain, there’s no million dollar contracts. But we do what we do because we love it and I was always encouraged to do what I love and what I’m passionate about and never to search for money. Yes, it would be wonderful if there was enough money in our game to allow our women to be fully professional so they’re not having to balance a work life and their sport; so they can focus on just one thing in their life. 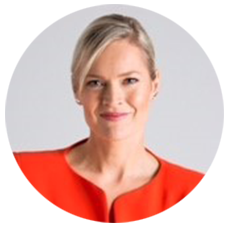 Laura Geitz: The girls are perfect role models for Australia’s younger generation – it’s tough being a girl growing up in society, there’s pressure surrounding how we look and so much else. I’m surrounded by women who are strong and know exactly what they want. I know people reading this will kill me if I don’t ask you for some netball tips – for little players and the big ones! It’s simple but it’s something that resonated with me when I was young and still does as I’m standing here talking with you. You know just to get out on court, enjoy it, embrace what you’re doing and be passionate about it. Be open to some criticism. Sometimes you may feel, ‘Oh gosh a certain coach is riding me and isn’t impressed with what I’m doing, but I think you’ve got to experience that. You know what? Often it’s just because the person sees a great skill that you probably don’t see. Just try to be open to that. Also get comfortable with being uncomfortable. Lisa our coach says that a lot. It’s when you’re uncomfortable that you see the most growth in yourself and you put yourself outside your own comfort zone and from eighteen-years-old I remember being thrown into a situation that I was completely uncomfortable! I made a promise to myself that whatever made me feel terribly uncomfortable I would say yes to before I even thought about it! (laughs) That can be on the netball court – for a little girl walking out for the first time, or to the work place – it can relate to anything. Want to hear from another super star woman in sport? Whiz over by tapping right here. Laura has designed a signature range of court ready clothes. Thanks to The Australian Diamonds, so proud. This blog will always, always fly the flag for women in sport. Tagged in Australian Diamonds, netball, women in sport.